Dr. James S. Lawton is a renowned radiologist in Baton Rouge, Louisiana. He received his medical degree from the Louisiana State University School of Medicine, New Orleans in 2003. After getting his medical degree, he did the internship in internal medicine there, at the same institution. He completed his medical education with a residency in diagnostic radiology and a fellowship in musculoskeletal, both completed at the University of Alabama School of Medicine in Birmingham. He is certified by the American Board in nuclear medicine and radiology. 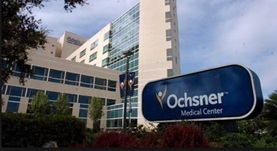 This doctor is affiliated with several hospitals in the area, including Baton Rouge General Medical Center, Surgical Specialty Hospital and UAB Medical West, Ochsner Medical Center Jefferson Highway and Saint Elizabeth Hospital.